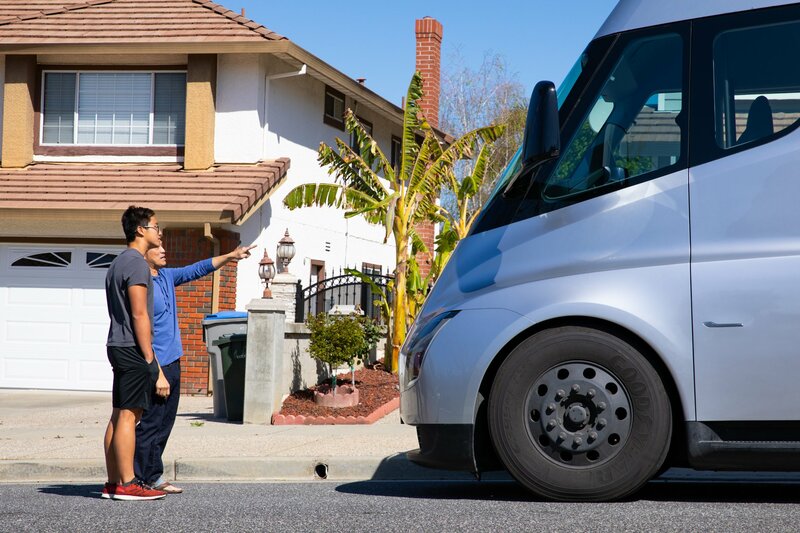 A few days ago Tesla shared a few videos of the Tesla Semi Truck being shown as a car transport carrier, now the prototype is actually delivering cars to real customers in the latest footage and photos shared by the Silicon Valley-based automaker. With the seamless ability to move cargo, Tesla Semi Truck has proved it is actually ‘capable’ what it is created for, carrying electric vehicles in a zero-emissions truck is a dream for the entire Tesla and EV community. In this latest episode, the Tesla customers waiting for the delivery of their cars seem both happy and surprised by receiving their cars via the Tesla Semi, the smile on Tesla customers tells the whole story. In the video and photos below, we can see that the trailer carrier is loaded the three Tesla Model 3s and a Model X, seems like the trailer is specially designed for the purpose. Tesla Semi Truck is the future of the freight industry, fortune 500 companies and corporations have already placed hundreds of pre-orders for these futuristic trucks. The Tesla Semi fully capable of autonomous features with prototypes equipped with around 26 cameras, the giant battery of the Tesla Semi, the capacity of which is unknown at this time is charged with 4-5 Supercharger stalls at once, with the Supercharger V3 proliferation, this might change or Tesla is working on Megacharger for it? No clue yet! 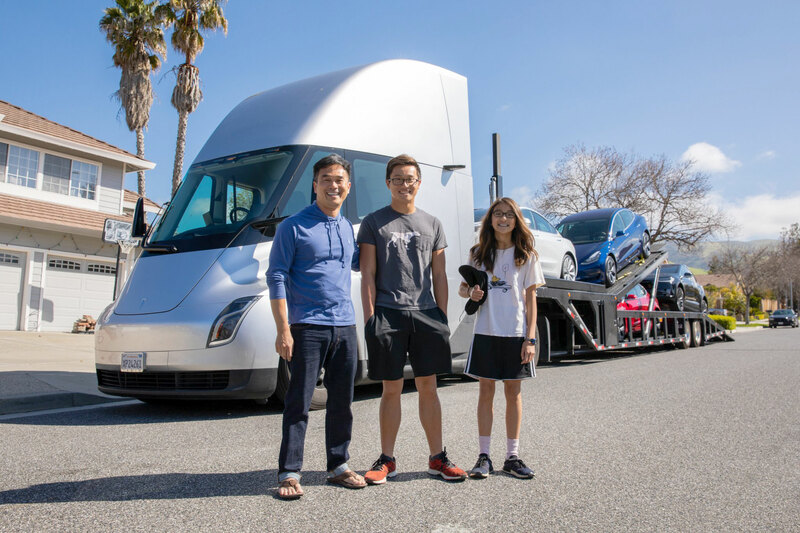 Let’s take a look at the amazing experience of these Tesla owners receiving their cars via an electric truck from the future.